I have so many nuggets that never went down into the memory hole like the following and boy howdy does the gang get themselves in trouble telling all sorts of whoppers! 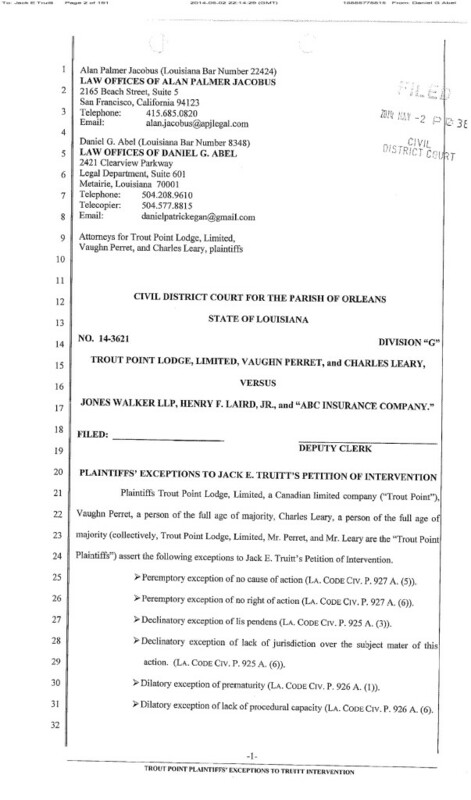 Threatened with a foreign defamation lawsuit in a noted area for libel tourism before the passage of the SPEECH Act the Times Picayune ran away from the libel terrorists at Trout Point Lodge like scared school girls. 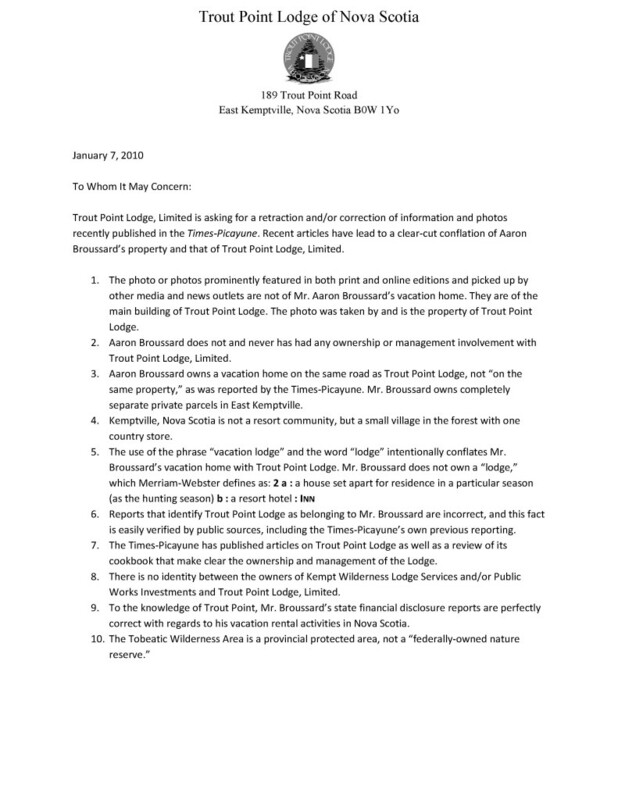 Five years ago plus one day an interview of Aaron Broussard was run on Fox 8 where he was challenged over what we now know to be criminal activity with certain Parish venders using his property at the Trout Point Lodge in Canada to conceal it. Five years ago today Broussard resigned in disgrace. Today he is in the Federal Pen with his buddies in Canada known as “ememies of the free press” and noted libel terrorists. 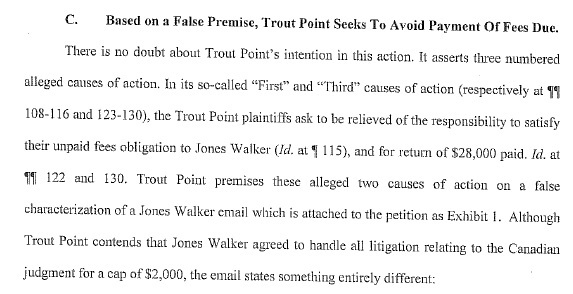 One media outlet stood tall in the face of this litigation terrorism and that would be Slabbed New Media. Enjoy. 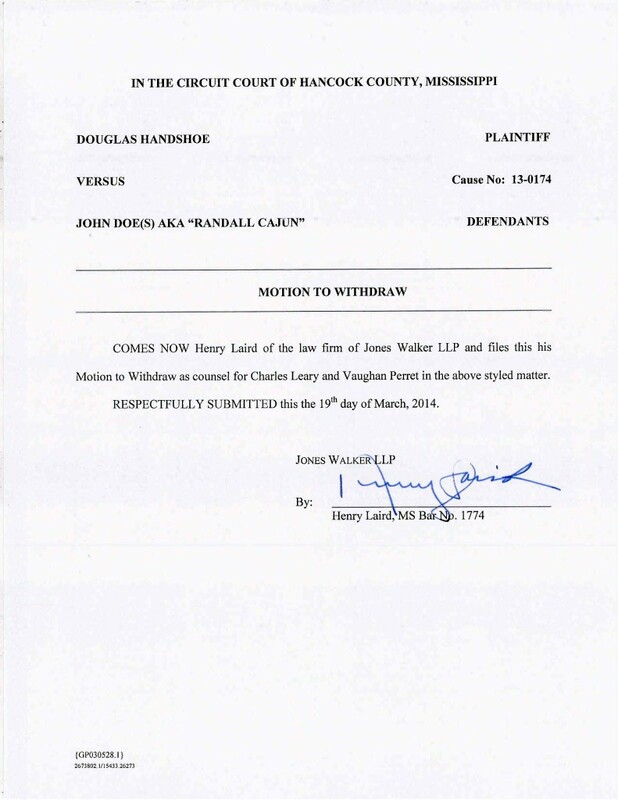 Finally, as demonstrated in the procedural history of this case and the court records, plaintiffs and plaintiffs’ counsel have demonstrated a clear pattern of frivolous and vexatious claims. 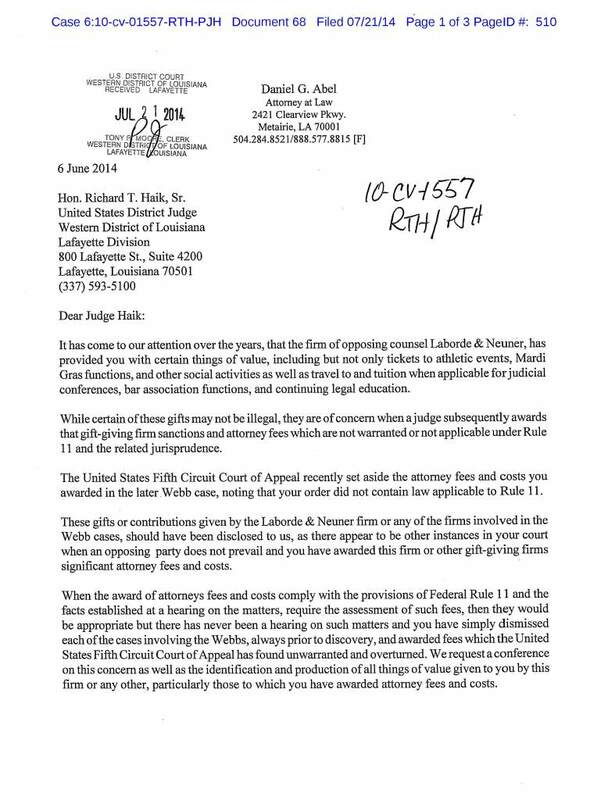 Mr. Abel has also repeatedly failed to adhere to the requirements of this court and has shown a disturbing pattern of asserting potentially damaging allegations with no evidentiary basis whatsoever and of being inauthentic with the court, to put it mildly. 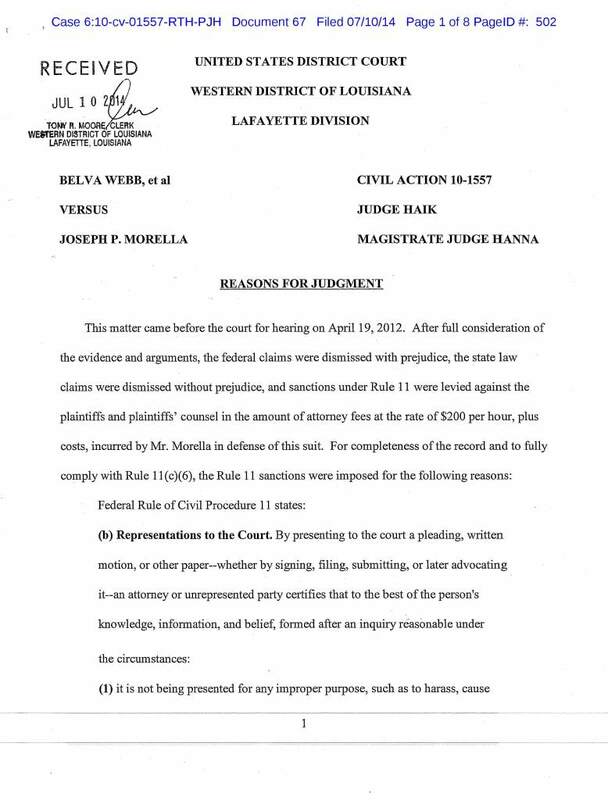 For these reasons, the plaintiffs, Belva and Faith Webb, and their counsel, Mr. Daniel Abel, are hereby prohibited from filing any future claims before this court until the sanctions ordered under Rule 11 are paid in full. And when it crashes and burns I wonder which blogger they will blame this time? Henegan’s effort is rare in that he correctly quotes the things I actually wrote about Trout Point Lodge and the trio of Vaughn Perret, Charles Leary and Daniel Abel instead of the stuff they made up from whole cloth. 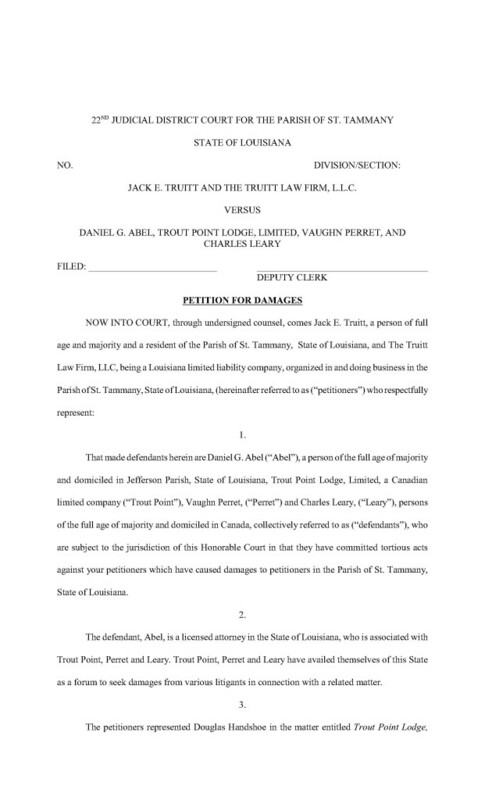 Using Nova Scotia Enterprises as the centerpiece of their damages claim against Louisiana Media Company in their Nova Scotia defamation suit against Fox 8 was certainly not the brightest idea the gang ever had…..